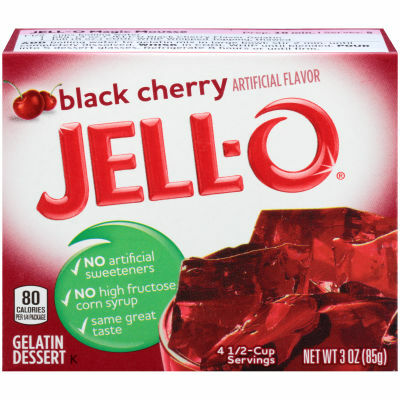 Black Cherry Gelatin DessertA vibrant, jiggly treat that kids love to eat as a snack or as a dessert! Layer it up with fruits or cake to make it more fun and fancy. Your favorite Jell-O gelatin flavor and some fun-shaped cookie cutters are all you need to make some super simple finger food.There's Always Room for Jell-O!A yummy dessert that is so easy for you to make and kids love to eat it, older kids love to make it themselves.You can add it in your salad to make it more fun and interesting.Jell-O Gelatin Mix is perfect to make jell-O shots for a party. Prepare jell-O shots with your choice of juices or drinks and your guests will love it for sure. Who doesn't fancy a fun cocktail that is so yummy and colorful!